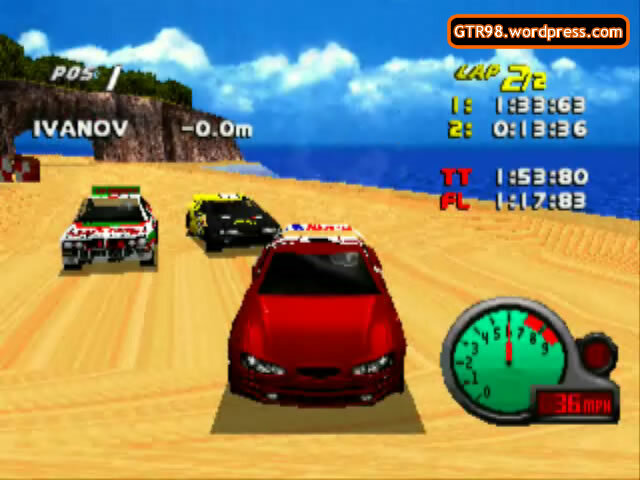 Easter Island 7 features Rally cars on a sand terrain, on a track identical to Easter Island 2, but in broad daylight. 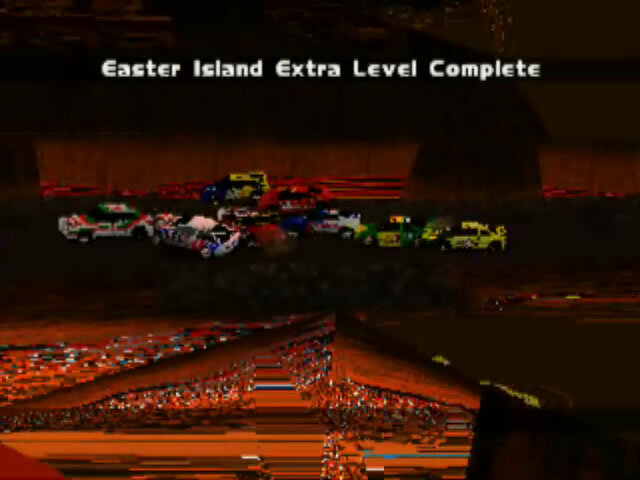 There are no barriers in the small volcano, so cars may risk falling Out into the lava. 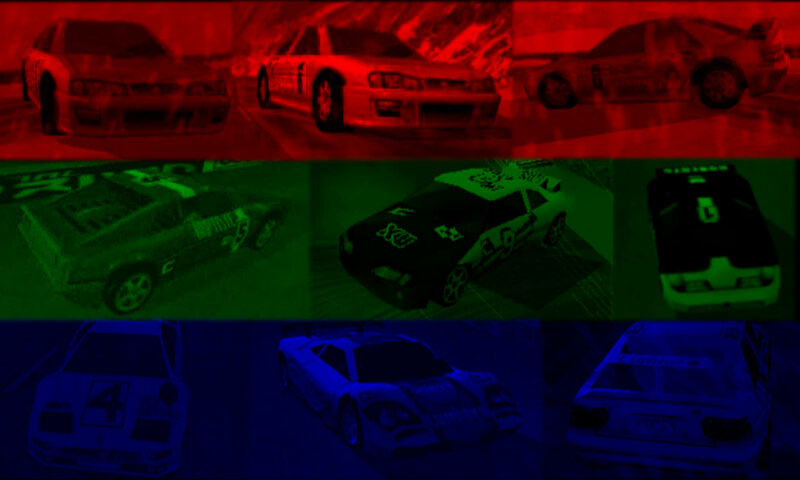 High top speed and poor handling are obvious liabilities on such a track. 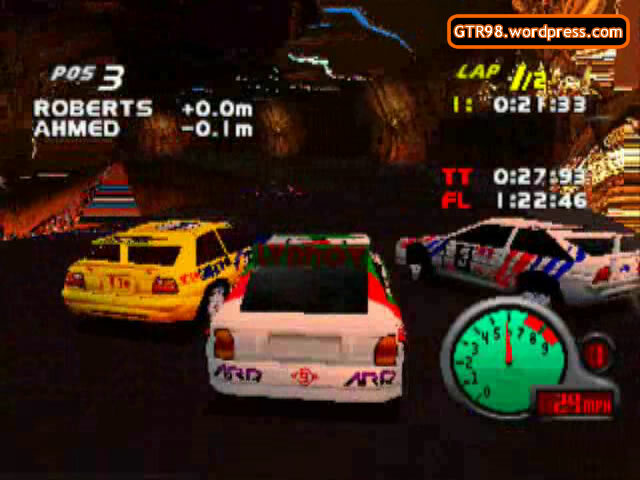 Scotland’s positions are used in Easter Island 7, so AI Roberts has first place to start the race. Ivanov & Xu fare well in this level due to their moderate top speed and good handling. 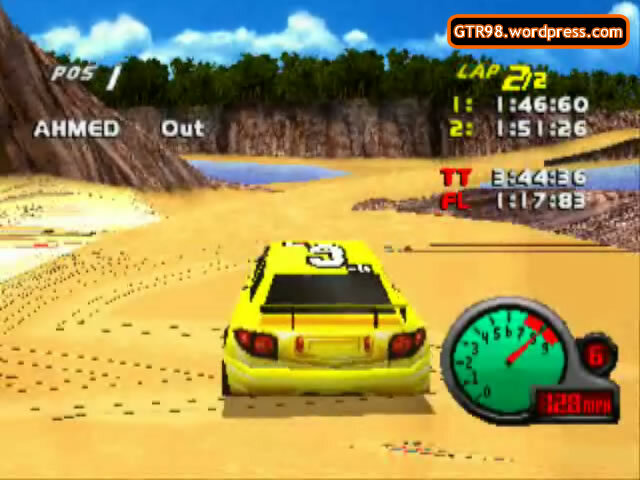 In Easter Island 7, Rally cars are used to maneuver a tight, sand track designed for Buggies and Dakars. Early in the lap, they will encounter a barrierless stretch in the small volcano. 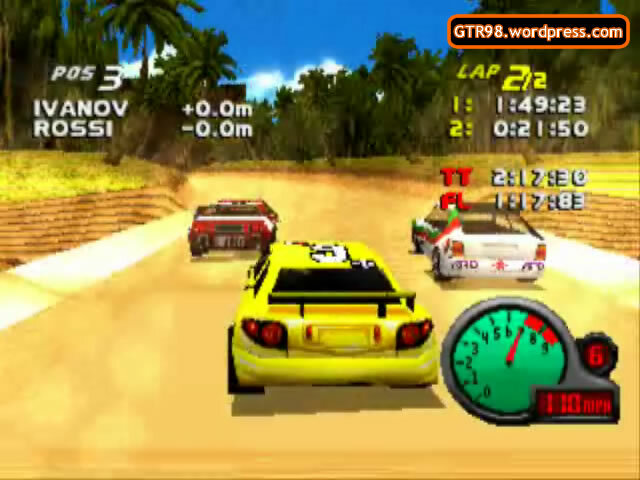 Rally cars are much faster than Buggies, so driving too fast may easily result in loss of control and a Game Over. However, players may also treat the volcano as an open invitation for a Rampage. This level also features a Small Ramp, which proves to be deadly for AI opponents who approach it from the wrong angle. Opponents who botch the jump will not drown in the water beside the Ramp, but about 0.1 miles directly ahead of it. 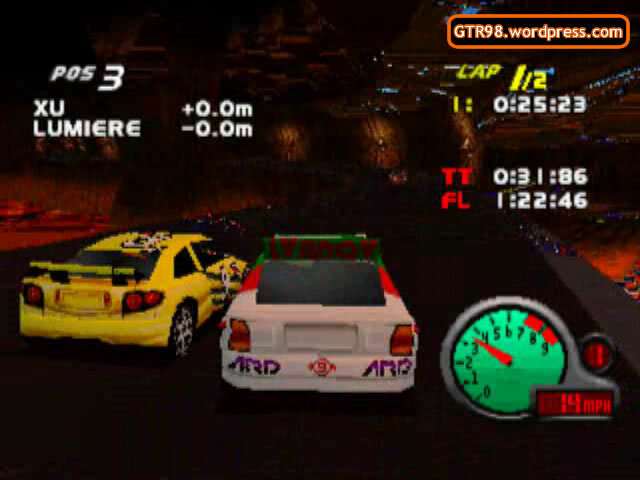 AI Lumiere is the most frequent casualty at the Ramp, especially in Lap 2. 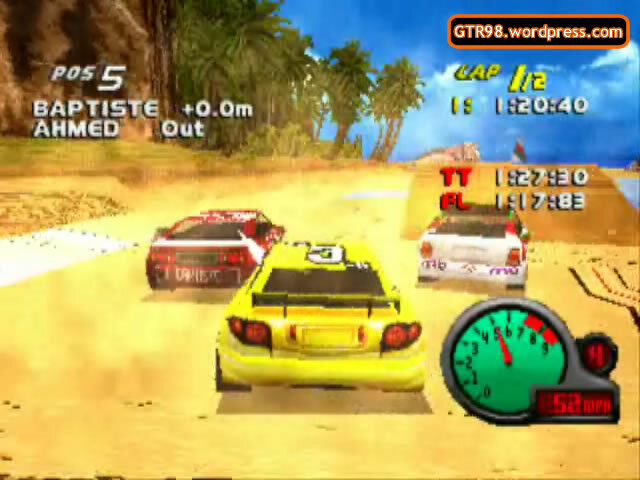 – Easter Island 7 is the only level where all opponents speed up in the final lap.